Conventional wisdom has it that thinking on nature and grace among Catholic intellectuals was severely clouded by the work of Cajetan and his fellow Thomistic commentators from about the sixteenth century to the eve of Vatican II. Henri de Lubac has rightly been given credit for pointing this out; and to all appearances, de Lubac's influence won the day, as can be seen by the imprint of his thought upon not just the Second Vatican Council, but also the pontificates of John Paul II and Benedict XVI. However, in recent years, a new crop of Thomistic scholars has arisen who question whether de Lubac's word on nature and grace should be the last; hence, the debate over the nature-grace relation, so heated at mid-twentieth century, has been stirred once again. Dr. Swafford here offers a third way by way of the nineteenth-century German theologian Matthias J. Scheeben--who, for some reason, has never really been considered especially relevant to this debate. Swafford shows that Scheeben can capture the very best of both sides, while at the same time avoiding the characteristic pitfalls so often alleged against each. Dr. Swafford's book is highly welcome as the Catholic Church celebrates the fiftieth anniversary of the Second Vatican Council. Henri de Lubac had been a noted peritus during that council. His understanding of the nature-grace relationship informed the final form of significant conciliar documents. 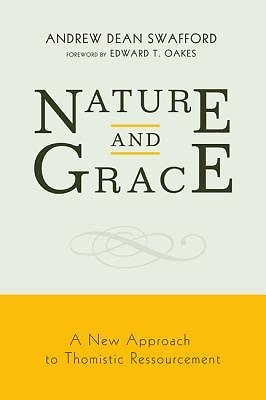 Swafford ably develops the parameters within which the nature-grace discussion has evolved, giving particular attention to the contemporary contributions of Lawrence Feingold and Steven Long. Using primary sources, he convincingly demonstrates how the much-celebrated but now almost forgotten theologian Matthias Scheeben offers a solution to this problem. --Emery de Gaal, University of Saint Mary of the Lake, Mundelein, IL This is more than a book: it's a milestone in Catholic intellectual history. --Scott W. Hahn, Franciscan University of Steubenville, Steubenville, OH Professor Swafford argues that the christological, nuptial, and incarnational emphases of de Lubac and his school need not be opposed to the traditional Thomistic approach to nature and grace. In fact, in the work of Matthias Scheeben, he finds precisely both emphases in profound integration. If, as I hope, the eventual fruit of this book is the translation and publication of Scheeben's Dogmatics, then this book will indeed mark a new beginning in English-speaking Catholic theology. --Matthew Levering, Mundelein Seminary, Mundelein, IL Andrew Dean Swafford holds a doctorate in Sacred Theology from the University of St. Mary of the Lake/Mundelein Seminary and a master's degree in Old Testament and Semitic Languages from Trinity Evangelical Divinity School. He is a contributing author to 30-Second Bible (2012) and is currently an Assistant Professor of Theology at Benedictine College in Atchison, Kansas, where he resides with his wife and three children.